Can he be blunt? Yes he can! 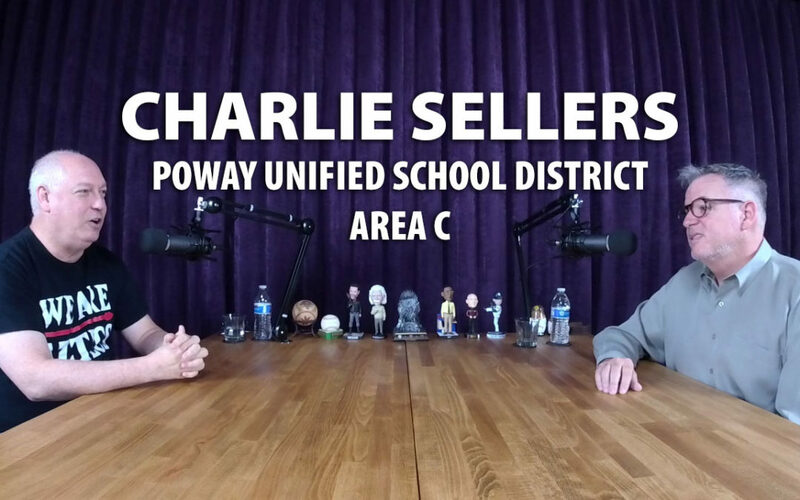 Charlie Sellers talks straight and tells us what’s really happening with the dynamics of PUSD and two factions on the Poway School Board. This was an incredible discussion of policy and politics. Charlie did not pull any punches. We explore the 3-2 board majority, the ugly John Collins saga of corruption and embezzlement, the process of choosing our new superintendent and the struggles he has simply getting access to financial information that is kept from him. As an accountant, we speak at length about budget issues, priorities and how to allocate resources to benefit students in the classroom. Charlie describes his race in detail and shows the stark contrast between himself and his two challengers: TJ Zane and Terry Norwood. We even found time to talk Aztec football and enjoy a moment with our dog Nona. Charlie also shared the story of how he voted against a raise for his wife and was banished to the sofa for a few nights.